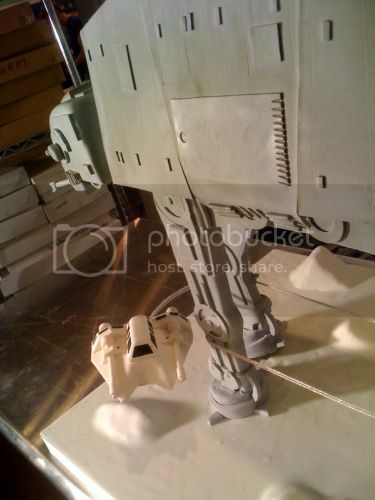 This Star Wars AT-AT cake by the uber-talents at Charm City Cakes doesn’t quite live up to the last jaw-dropping AT-AT cake I profiled. But what this one lacks in ludicrous amounts of detail* it gains in hot, grappling-hooky snowspeeder action. The next logical escalation in Hoth-themed cake-making? A crashed-snowspeeder cake with Dack‘s charred remains visible in the gunner’s seat. And “char” should taste like cinnamon, of course. * I’d qualify the detail on this cake as Very Highly Respectable, comparatively. Check out more photos on Super Punch. Pretty cool. 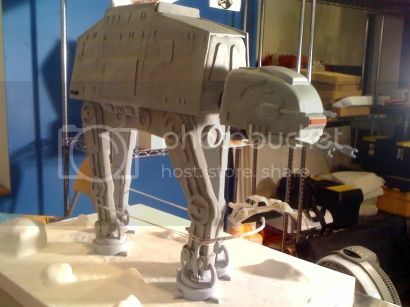 Here’s another AT-AT cake in 3D that I thought was awesome.